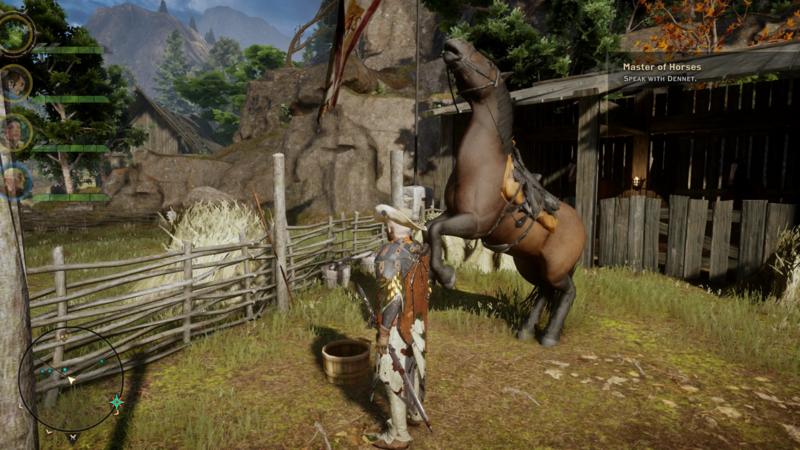 Several people have asked how to get your first horse (mount) on Dragon Age Inquisition. It’s pretty simple, and you can get one right at the beginning of the game. All you have to do is complete the “tutorial” region and unlock the Hinterlands in Ferelden. One of the quests you’ll receive will be to speak to the Master of Horses. This quest is in the far northwestern region of the hinterlands. It is a little bit of a hike, but it only takes about 5 minutes to get there with a few fights in-between. 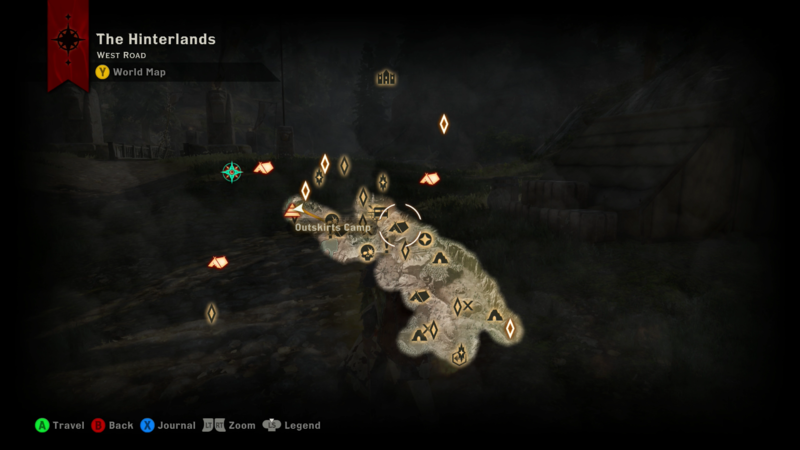 Here is a map of the Hinterlands and the camp where you first start off. 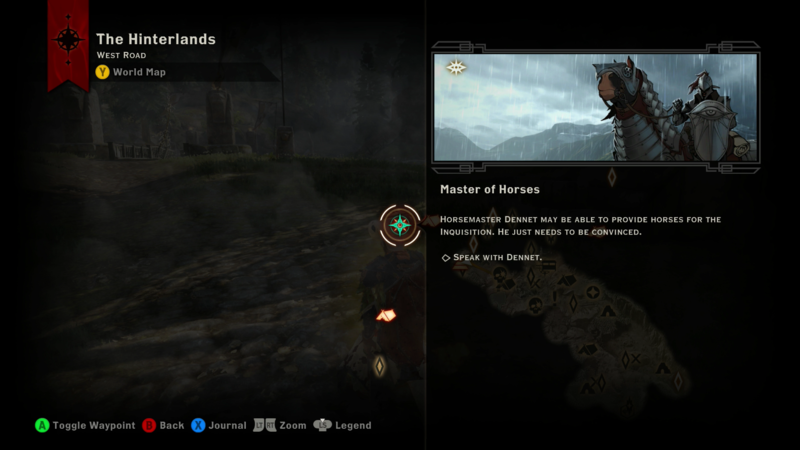 The waypoint (blue star) is where the Master of Horses quest begins. Once you see a farm with this fine beauty, you know you’re in the right place. Don’t forget that when you are inside of the Master of Horse’s home, there is a bottle of wine (one of the collectibles) which can be seen in this video below.